Successfully Added Sports Action Camera N5000a - Panasonic 34112 Sensor, 2880x2160 Resolutions, IP68, Wide Angle Lens, Motion Detection to your Shopping Cart. If you love living and adventures lifestyle and want to keep magical memories of your pursuits then an action camera is the way to do it. A sports action camera can go places where you wouldn't dare take the average smartphone or digital camera. Thanks to a rugged waterproof design this 4K action camera has an IP68 rating and can be used to depths up to 10 meters without a separate case. This means you can take it swimming, kayaking or diving. But even for your everyday tasks this sports action camera is of great worth. A 170 degree lens and Panasonic 34112 CMOS sensor brings jaw dropping quality to your videos and pictures. So whether it's a night out with friends, your child's first steps or abseiling down a 100ft cliff face the N5000a action camera delivers perfect results that lets you captures the precious moments in life as they unfold. A 2 inch touch screen makes the cameras settings easy to navigate and help you line up each and every shot while the large function buttons make recording video and snapping photos super efficient. With Wi-Fi connectivity you can easily transfer your photos and videos to a smartphone or tablet and upload to your Facebook or Instagram feed in next to no time. 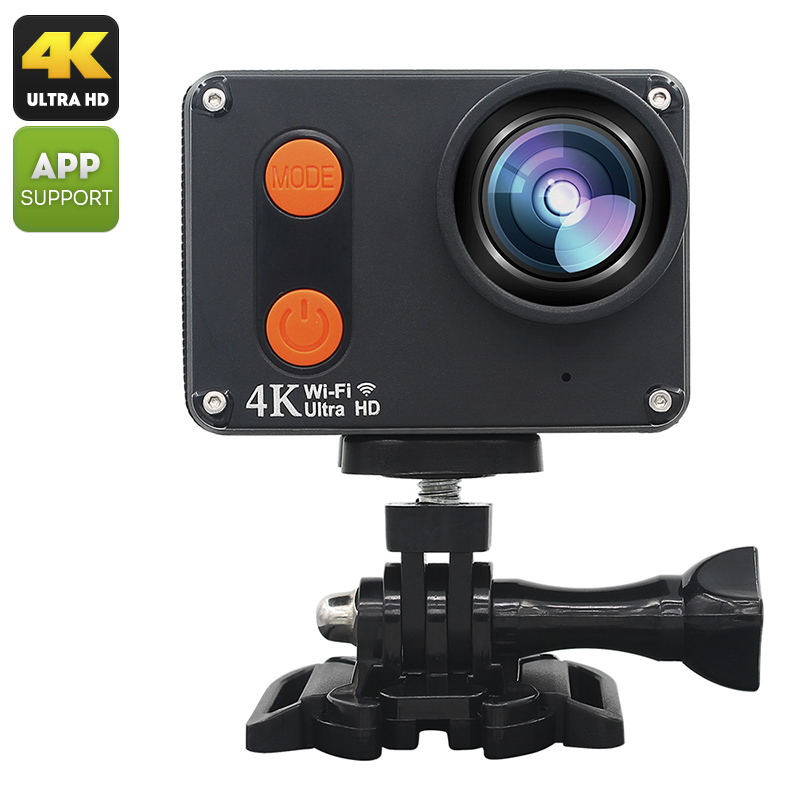 This action camera boasts some awesome features such as motion detection, continuous shooting mode and loop recording making it easier that ever to get that perfect shot. This sports action camera comes with 12 months warranty, brought to you by the leader in electronic devices as well as wholesale action cams and video gadgets..